Find out how the league did against March Madness. The Overwatch League made its network TV debut last weekend when the stage one semifinals and finals were aired on ABC. How did an esports league measure up to the March Madness aired on other networks? It did better than expected. 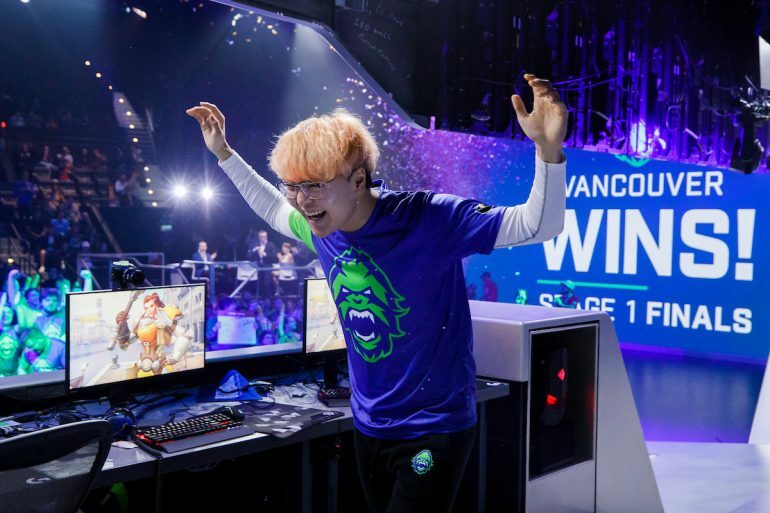 According to Nielsen ratings compiled by Showbuzz Daily, the Overwatch League grand finals aired on ABC pulled in 367,000 viewers on Sunday, March 24. The semifinals, aired on Saturday, March 23, had 306,000 viewers. These numbers may seem small in comparison to the millions of viewers that college basketball logged during the same time slot. But for a league with no network history, it’s more than enough. During the finals, there was a 607,000 Average Minute Audience (AMA) across all the platforms where the Overwatch League can be viewed (such as Twitch, ESPN, and ABC), according to league representatives. The AMA is the calculation of the average amount of viewers watching over the entire broadcast. The finals included an AMA of 390,000 viewers located in the United States. The 367,000 grand finals viewers on ABC beat out a CS:GO finals game and a regular season NHL game with popular teams, according to ShowBuzz. In addition, an estimated AMA of 105,000 viewers for Sunday’s Overwatch League finals were in the highly coveted 18 to 49 age demographic. This means a large portion of viewers were in the demographics that many advertisers look to attract with pricey ads. In comparison, last year’s Overwatch League grand finals drew 289,175 per-minute viewers from the United States. The full per-minute audience number also pulled from streaming websites, such as Twitch, MLG.com, and ESPN’s app. Overwatch League’s season two opening week had a per-minute audience of 440,000. The numbers for viewership on ABC on Sunday are made more impressive considering that many viewers in the United States experienced up to a 45-minute break due to breaking news reports cutting into programming. ABC will be airing the stage two semifinals and finals as well as the All-Star games, which take place between the stage two and stage three break.